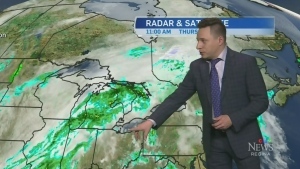 How the UPC win impacts Sask. The federal government is opposing a pitch by Alberta's United Conservative Party for intervener status in an upcoming court case in Saskatchewan over the national carbon tax. Documents filed by Ottawa in Saskatchewan's Court of Appeal on Wednesday say the party's interest in the case is political and speculative. "It is disappointing to see Conservative politicians across the country using taxpayer money and resources to oppose serious action on climate change," Caroline Theriault, a spokeswoman with federal Environment Minister Catherine McKenna's office, said in a statement. Saskatchewan has asked the court to rule on whether the federal government's plan to force a carbon tax on the province is constitutional. The province believes its own climate change plan, which doesn't include a carbon tax, is enough to reduce emissions. The federal government also said it wants portions of submissions from the Canadian Taxpayers Federation, the Assembly of First Nations, Agricultural Producers Association of Saskatchewan and Climate Justice Saskatoon reviewed to make sure they fit the legal rules for interveners. Saskatchewan argues in its submission that the United Conservative Party should be granted intervener status. Other parties it supports are APAS, the taxpayers federation, Saskatchewan Power Corp. and SaskEnergy Inc.
Ottawa supported eight organizations for intervener status including SaskPower and SaskEnergy, Athabasca Chipewyan First Nation, the David Suzuki Foundation and Canadian Public Health Association. Organizations which Saskatchewan doesn't want included as interveners include the Assembly of First Nations, Canadian Public Health Association and Intergenerational Climate Coalition. A panel of three judges will decide which interveners will be allowed on Dec. 12 in Regina. The case is to be heard in mid-February. The United Conservatives called out Prime Minister Justin Trudeau for Ottawa's argument against the party. UPC leader Jason Kenney said his party needs to be heard on the carbon tax. "The UCP is stepping up and seeking to intervene because the current Alberta government refuses to do so," Kenney said in an email. "It's telling that the Trudeau Government is happy with foreign-funded groups like the David Suzuki Foundation and Environmental Defence fighting for a carbon tax in Canadian courts, but not the Official Opposition in Alberta that represents a significant number of Albertans." 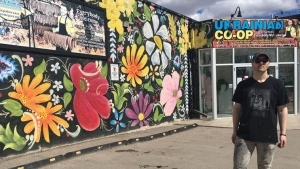 Amir Attaran, a lawyer for Athabasca Chipewyan First Nation, said he supports the federal government's position against the UPC party having standing in the case. "It's hard to see how Jason Kenney would be doing anything other than making this case a political forum because he's not in power," Attaran said. Ontario is also taking the federal government to court on the constitutionality of the carbon tax. Its challenge is to be heard in April. The federal government has given the provinces until January to come up with their own carbon pricing or have targets imposed on them. The carbon price outlined by Ottawa starts at a minimum of $20 a tonne and rises $10 annually until 2022. New Brunswick and Manitoba also have not signed on to the federal plan. 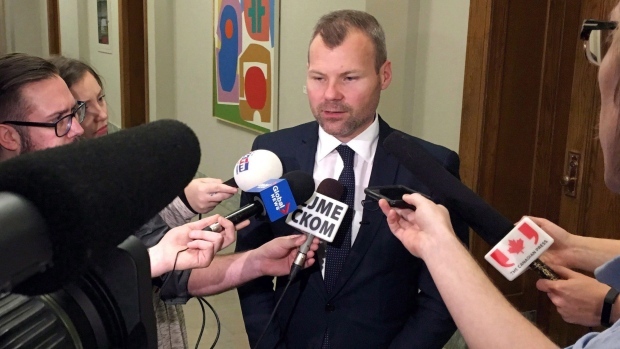 Saskatchewan Premier Scott Moe is looking to add the carbon tax to the first ministers meeting agenda on Friday in Montreal.